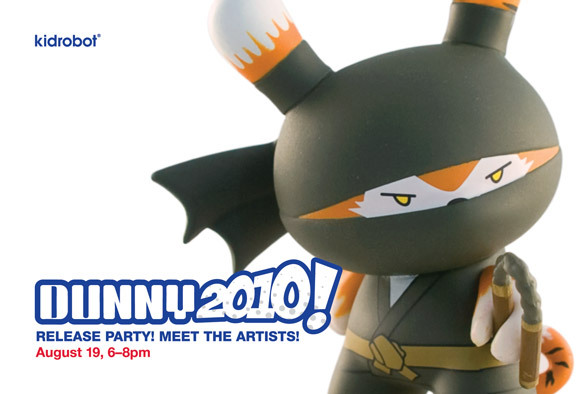 Tomorrow see’s the launch of the brand new 2010 Dunny Series from Kidrobot and in celebration, the brand will be hosting a selection of launch parties at the various Kidrobot locations across the world, including London. 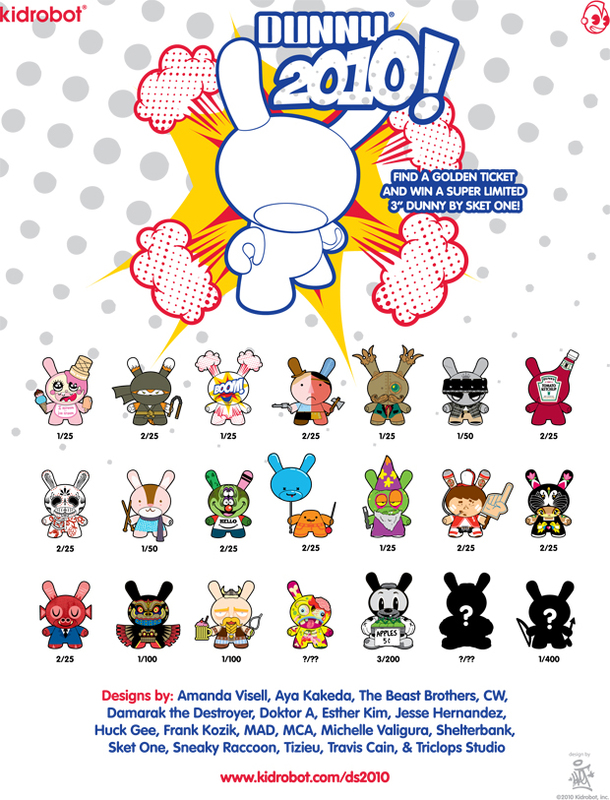 The new series looks to be one of the best for a while, with some real interesting dunny concepts, including those by Kidrobot favourites Amanda Visell, Frank Kozik, Sket One, Doktor A and Triclops. This series even includes some super limited pieces, as rare as 1/400, so it’s bound to send collector’s a little nuts. The official launch happens at the Kidrobot store on Earlham Street this Thursday (19th) from 6-8pm, where the boys of the Triclops Studio will be in attendance signing dunnys past and present. Case purchases come with a DS2010 tote bag and rare Sket One Relish Dunny, which I for one am dying to get my hands on. Thursday looks set to be a great night, we’ll see you there. More details follow below.